It has been reported that the joint-venture of MMC Corp Bhd and Gamuda Bhd has won the tunnelling and underground stations package for the Projek Mass Rapid Transit Lembah Kelang – Jajaran Sungai Buloh-Kajang with a bid in the region of RM 8.2 Billion. 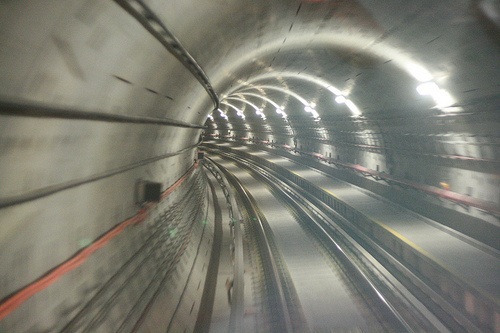 The Package comprises of 9.5km of tunnels and seven stations running from Semantan Portal to Maluri Portal. It is understood that a procurement committee chaired by the Malaysian Prime Minister decided on award of the package to MMC-Gamuda JV based on its strengths in design, construction plant and tunnelling equipment, construction methodology and price. It is reported that MMC – Gamuda JV price was 3.4 percent lower than the next lowest bid. This entry was posted in Industry News, Posts, Site Update and tagged Gamuda Berhad, Mass Rapid Transit, MCC-Gamuda JV, MRT, Tunnels. Bookmark the permalink.